Many people would like to increase the livable space in their home but do not have the available lot space for a sizable addition. In that case, they can look to finishing their basement or changing a crawlspace to a basement to add additional living space. These extended spaces are great for adding an additional bedroom, laundry area, storage or a home theater space. Lowering your basement floor or crawlspace is a solution that can add additional height to an otherwise awkward area. Lowing of a crawlspace and sometimes a basement may involve a process called underpinning. Underpinning is a complicated project and should not be attempted without the help of a licensed and insured concrete foundation expert. 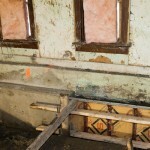 It is important to check up on references and make sure that your contractor has done this kind of work previously. You are always better safe than sorry when it comes to the foundation of your home. It is the most important part of a house. Underpinning can be time consuming and expensive but it is an often necessary endeavor with an extremely rewarding conclusion. Alternately some people who start a basement or crawlspace project need to have this work done not out of a desire for more space but, out of necessity. Many homeowners have water issues caused by foundation cracks, hydrostatic pressure or sewer backups. Many face problems with improperly installed foundations, or settling of the soil over the years that are impacting their current foundation. There are also other considerations to make when altering a basement or crawlspace floor such as adding drain tiles, sump pits, ejector pits, spray foam insulation, overhead sewers, extending support piers, etc. These are just a small sample of things to plan ahead for that may impact the success of a basement remodel or crawlspace encapsulation. 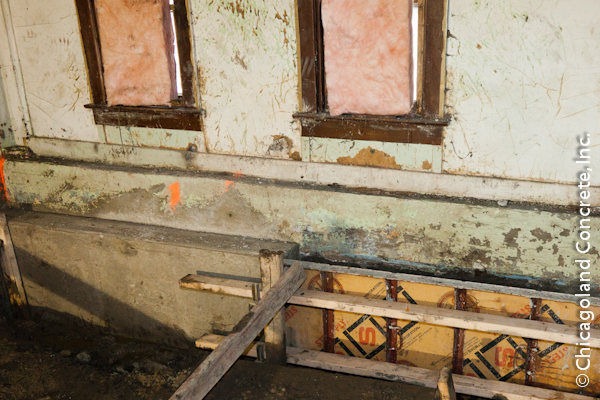 We have done many waterproofing projects throughout the years that incorporate a variety of solutions geared to specific problems found in basements and crawlspaces. Give us a call if you have any questions about your next basement or crawlspace project in the Chicagoland area.